Source: WWI Memorial, Lexington. Photograph courtesy of Natasha Smith. 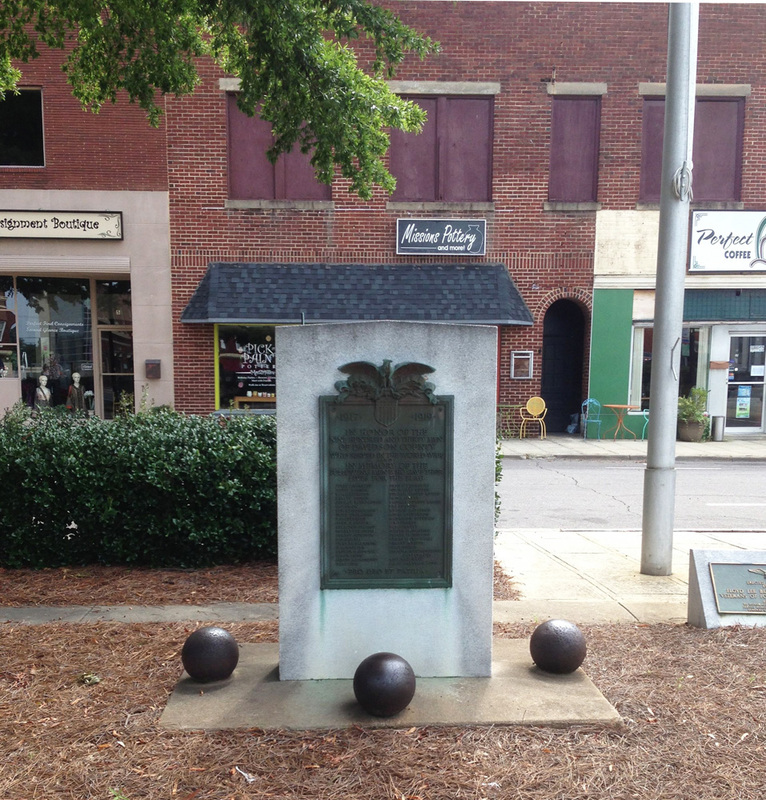 This memorial consists of a bronze tablet mounted on a granite base that lists the names of the thirty-nine residents of Davidson County that died in or as a result of World War I. The monument includes the names of African American soldiers, although they are separated from the list of their white counterparts. Around the base of the memorial are several cannon balls. As early as April 16, 1919, Davidson County wanted to commemorate the service and deaths of those citizens that had fought in WWI. They planned and raised funds for two celebrations, promising the leftover money to the memorial fund. Initial planning began in June of the same year with the meeting of a memorial committee and the idea of creating a memorial hospital. The second of the two planned celebrations never occurred, and the money raised was given to the memorial association. By October of 1921, the association had determined that the memorial would be monument of sorts (not a hospital) placed in Lexington Square, but the plan of the bronze tablet on granite marker was not finalized until December. 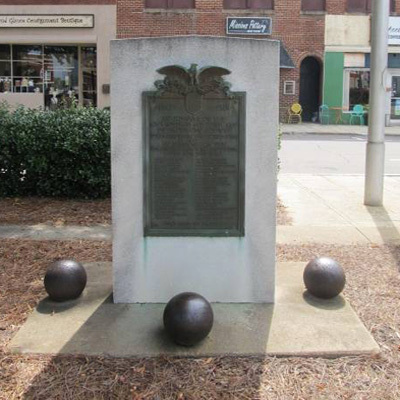 The monument was paid for by county, city, and civic organizations. However, the most prolific and active sponsor of the memorial was chairman of the memorial association, J.R. McCrary. All veterans in Davidson County were asked to join in the parade that went up Main Street and Sixth Avenue in Lexington held prior to the unveiling. The veterans were the head of the parade, riding in automobiles, followed by the Erlanger marching band. Fraternal and patriotic organizations were included in the parade behind the band; including the American Legion Auxiliary, the Thomasville and Lexington American Legion Posts, P. O. S. of A., and Boy Scouts. Several thousand people from all over Davidson County attended the ceremony. An address was given by University of North Carolina professor, Frank P. Graham. The monument was unveiled by Capt. C. M. Thompson and Capt. C. W. Trice. The Star Spangled Banner was sung and Major Wade H. Phillips accepted the monument on behalf of the soldiers being honored. Relatives of the World War soldiers were invited and in attendance. Automobile racing and a baseball game were held after the ceremony. The statue is dedicated to all soldiers from Davidson County that fought in WWI, but especially the thirty-nine that lost their lives. The marker was originally placed in the center of the northeast quadrant, but was moved to the side in the late 1940s or early 1950s to make room for the World War II marker when it was added. As it is located in the town square, the monument and its surroundings have been part of many celebrations.